Find that something to show your clan allegiance! 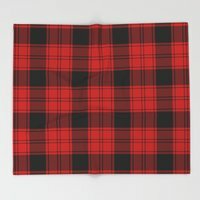 To order tartan cloth woven by Lochcarron of Scotland or bespoke garments made in Ewing Tartan, please visit the Tartan Garments page. 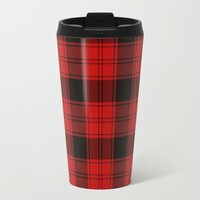 This page offers items in printed tartan from two suppliers: Spoonflower has a range of different fabrics, wallpaper and gift wrap (coming soon), while Society6 offers clothes for men and women, as well as mugs, wall clocks, tote bags, cushions, duvet covers, and skins, sleeves and cases for iPads, laptops and cell phones. 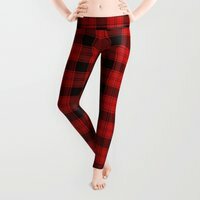 Clothing: T-shirts, leggings, tank tops, hoodies etc. 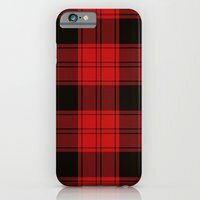 Tech: Cellphone cases, laptop skins etc. Household: Mugs, wall clocks, shower curtains, rugs, cushions, blankets etc. Fabrics are available in a variety of cottons, as well as lycra, satin, sateen and silk crepe. Wallpapers are available in smooth and woven finishes. Gift wrap comes in a smooth satin finish.